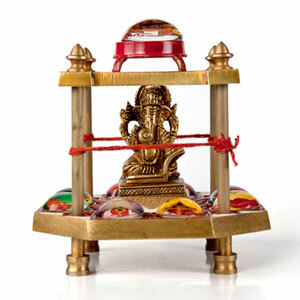 Get Ganesha blessings by establishing Ganpati Chowki. We see in many occasions that before beginning any new or good work they worship or offer prayers to Lord Ganesha. Therefore, before the beginning of new celebrations establish this Ganapati Chowki at place of worship. 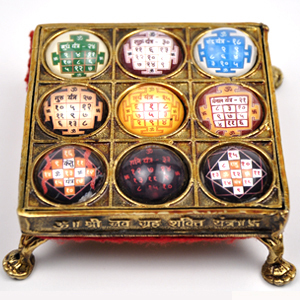 Ganapati Chowki contains idol of lord Ganesha which is surrounded by the images of 8 ganapatis on the floor of this chowki. These 8 images are 8 forms of Ganesha- Srimahaganapti, Srisiddhivinayaka, Srivighneshwara, Srigirijatmaja, Srichintamani, Srivarad Vinayaka, Srivallalleshwar & Srimyureshwar. 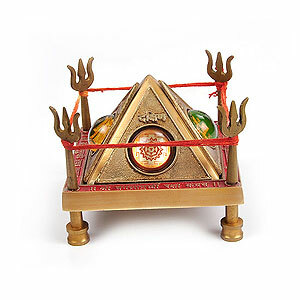 On the top of this Chowki there is Ganapti Yantra surrounded by Ganapti Yantra which is chanted by all Hindus to get the blessings of Lord Ganesha. 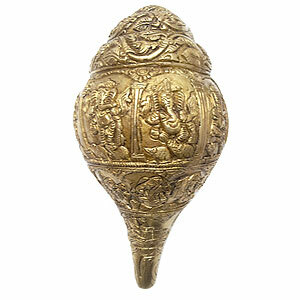 Lord Ganesha is the god of intelligence, success and wealth. 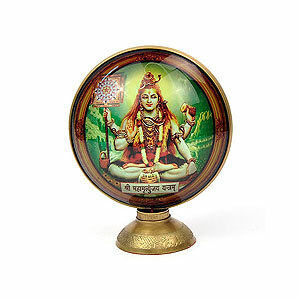 Lord ganesha is also the lord of obstacles. As per Hindu belief, Lord Ganesha is one of the most important deities and in every puja people perform Ganesh Puja. Therefore by worshipping lord ganesha one gets rid of obstacles and in addition to that he also attains success in accomplishing the tasks undertaken. The financial problems get eradicated and the devotee becomes intelligent also.